Gather useful insights and grow your business. 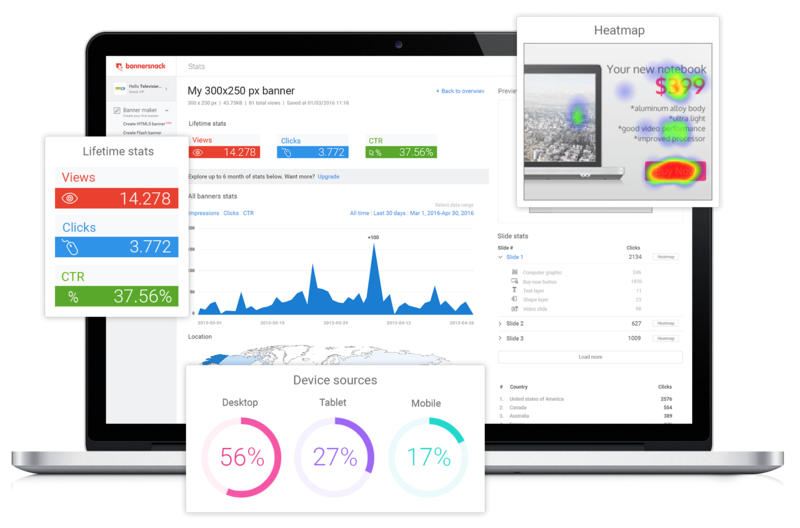 Gain a deeper understanding of your banner ads through statistics, heatmaps and simplified demographic data. Create an account and turn your insights into actions. Our top customers include Fortune 500 companies, Universities, Governments and large agencies. Our cutting edge analytics technology enables you to know where is the user clicking and where he isn't. Knowing your audience in terms of country will enable you to create targeted ads and on what languages you should focus on. Understand the customer experience across all devices and see how the clicks and views metrics change depending on the screen size you are displaying the banner ad on. Understand the kinds of content you need to create, the days when the user is most active and the types of audiences you need to focus your marketing and remarketing campaigns. 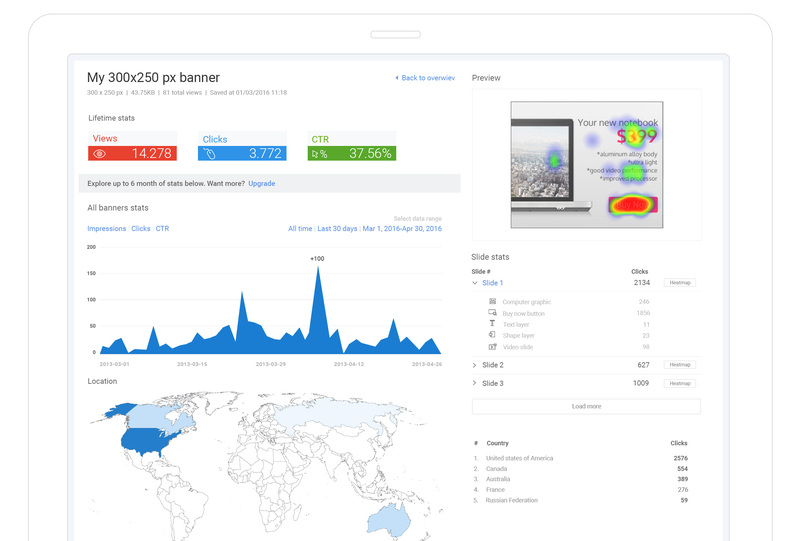 Design, track and improve your banner performance with Bannersnack. Go premiumTry it for free! Bannersnack is the original dedicated banner design tool since 2008. Trusted by over 3.000.000 people. Join them now! © 2019 Bannersnack. All Rights Reserved.